Meets every Friday night during school term. It’s a fun night at the church hall with lots of fun activities, Bible time & whatever else they dream up! It’s designed for people in years 7-12. Contact: Katharine Thompson through the Church office (9798 3059). School aged children can come to Thursday JAM, a ‘Kids’ Club’ style activity that runs during term time. 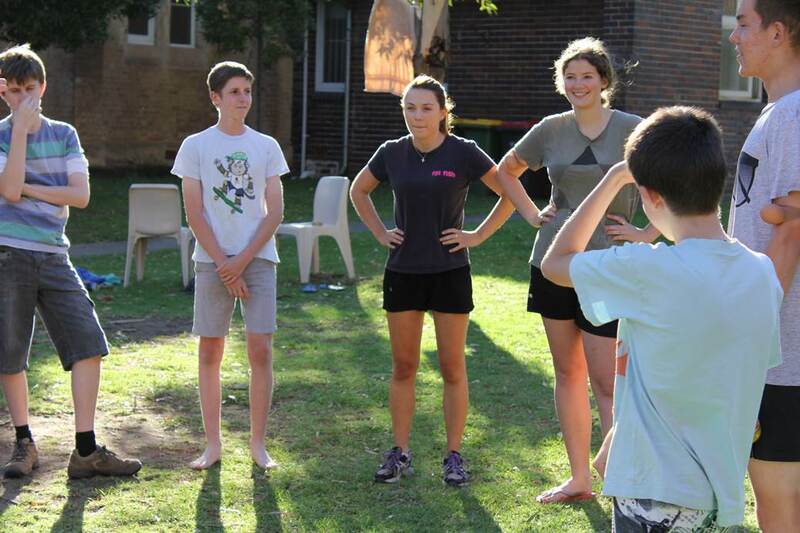 A leader collects the children from Haberfield Public School at 3pm to walk to the hall in Dalhousie St.
We begin with afternoon tea, which is followed by games, singing and a Bible story, followed by a challenging craft activity. There is a small cost per child of $6 per week. 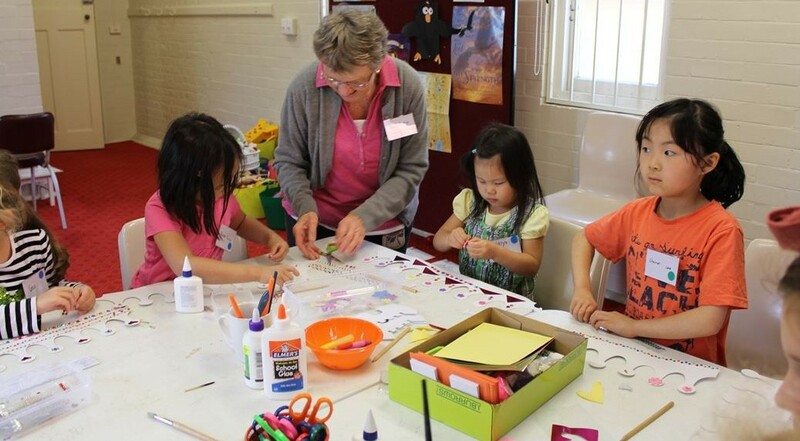 Thursday JAM is led by Thelma Hatfield, a well-known Haberfield resident and very experienced children’s worker, and Johanna Lihou. Children from other schools are welcome, but need to be delievered to the hall by a Carer. At 5pm parents or carers collect their children from the hall. This is a time for parents and children to enjoy playing, learning and making friends. 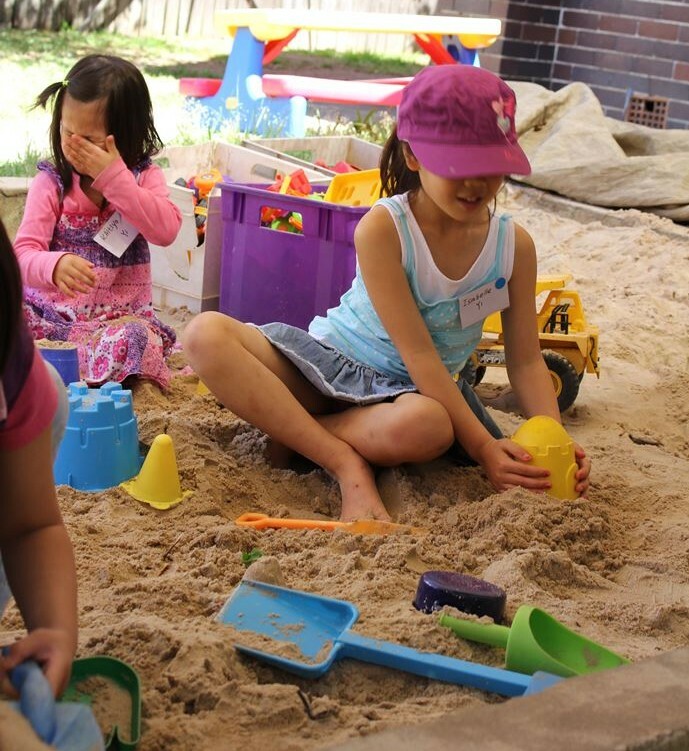 Playtime is an informal group where the parents take the responsibility for setting up activities and arranging morning tea as part of a relaxed social program. 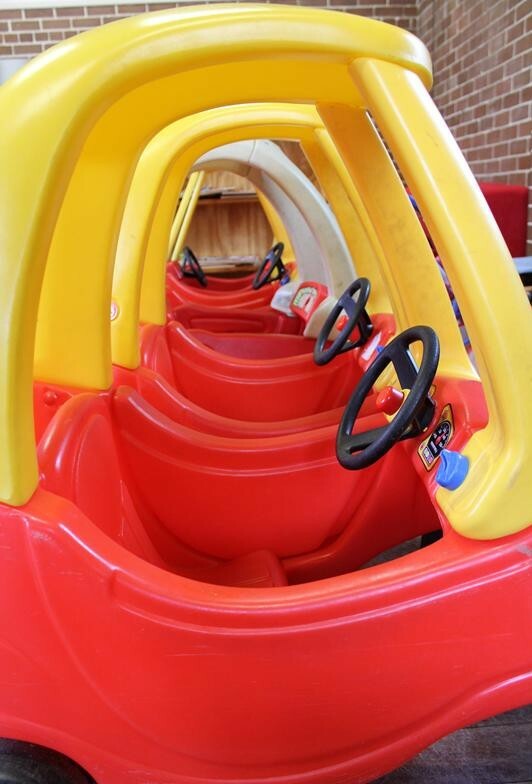 There are heaps of toys for indoor and outdoor play, including a trampoline and a shade covered sandpit. (Playtime usually runs from 10am to 12 noon every Thursday). Morning prayers can refresh and recharge your soul as you get ready to take on the day with help from the best place possible! Why don’t you start your day with God? You can come in anytime to feel the presence of God, bringing your requests to God. There will be candles as well as reflective music. May the peace of the Lord be always with you! We live out or mission of ‘Sharing God’s love for the world’ in every part of our lives, wherever we are! 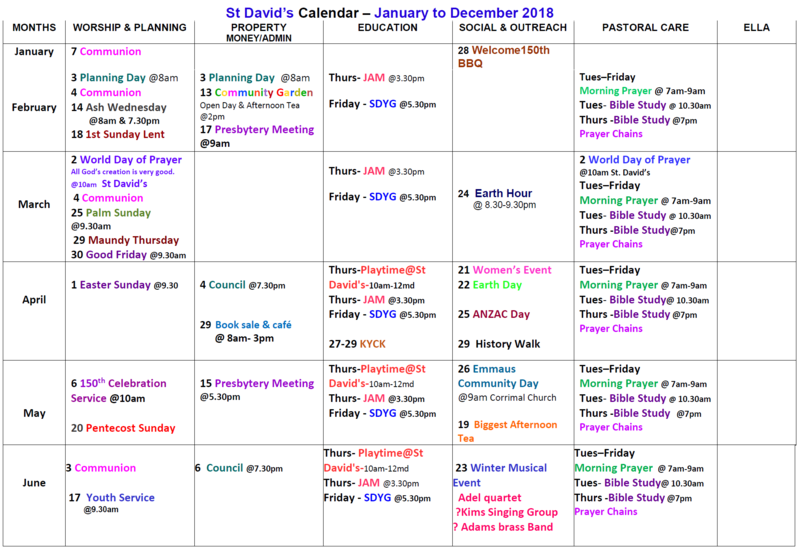 The Ella Centre operates in partnership with St David’s Church. 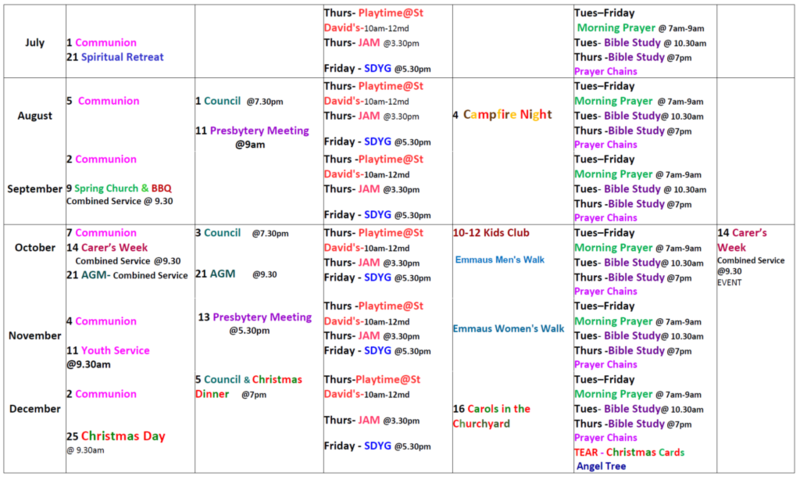 Our church hall and grounds are home to a wide variety of community activities. The Centre began in 1975 as a community project, though there was a strong connection with the church through the Minister (Rev Arch Grant) and the Ella family, the benefactors after whom the centre is named. 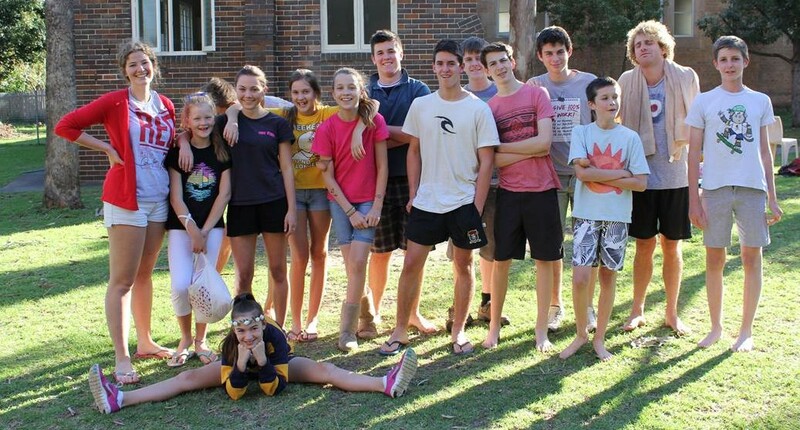 Today the Centre provides a range of services and facilities, particularly in Aged Care and Respite, along with Training, Social and Respite activities for young people with intellectual and physical disabilities. An exciting project in 2011 is the development of the Dementia Activity Centre on the church grounds.Funded by State and Federal Government, the Day Centre will be run by The Ella for day programs for people with dementia who are still physically active. St David’s people are involved at Ella by being volunteers and Board members. For more information, contact: 58a Dalhousie St Haberfield 2045. 9798 5140.